While technology has advanced almost every industry on the planet, guidelines for transportation and traffic calming have remained unchanged for decades. Modern digital advancements, trends and emerging best practices have been ignored. The release of the comprehensive Traffic Calming Guide for the 21st Century from Radarsign® has changed that. 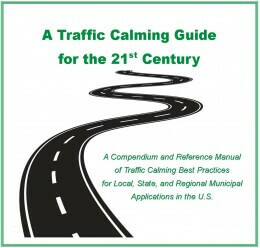 Today traffic planners and engineers, urban planners, municipalities and law enforcement officials now have easy access to an unbiased, up-to-date resource for traffic calming solutions. With the new traffic calming guide, those responsible for making streets safer can better navigate the often confusing maze of traditional and interactive options now available to slow speeding drivers. Download your Traffic Calming Guide today!